I've had experience of the Kala 'Travel' series of musical instruments for quite some years now, but only recently managed to get my hands on one to feature on the Got A Ukulele reviews page. Say hello to the Kala KA-SSTU-C Travel Concert. Kala once again there with their passion for secret code names for their instruments! Why can't they just call it 'Kevin' or 'Buttercup' or something.. 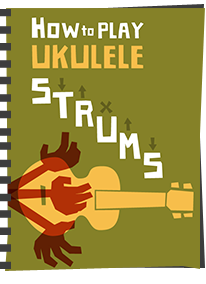 Seriously, the SS stands for Solid Spruce, the TU for Travel Ukulele and the C denotes that this one is in concert scale. Incidentally, they also make these in sopranissimo, soprano and tenor too! The 'Travel' name relates to the fact that whilst looking at it face on this instrument looks like any other, the depth of the body is about half the size or less than traditional ukuleles. I prefer the term 'thin line' myself as I have never quite understood how making an instrument thin really helps with travel. Perhaps when backpacking this makes for an easier instrument to stow, but I tend to look at air travel when I think about worries when carrying a ukulele. 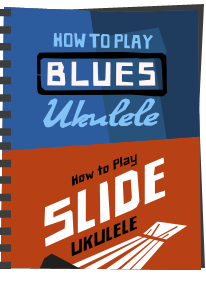 Here in the UK, most cabin baggage is restricted by overall size, so making a ukulele thin but still having it long doesn't get around the rules we face. In fact this would challenge some airlines based on the length of it as much as any full bodied instrument. 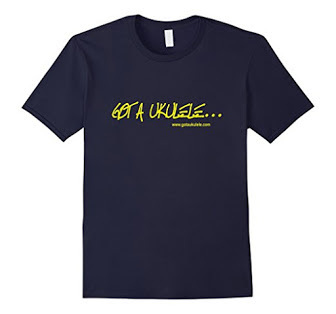 Perhaps it is based on ease of packing into a suitcase - but I would have to be pretty hard pressed to put a ukulele into a suitcase on an airline hold! No matter - just a name - on with the review. So as I say above, this instrument has a solid spruce top and is in a standard double bout shape. The top is flawless and finished in a nice satin coating. The spruce shows some grain, but is otherwise plain as spruce tends to be. Decoration is added in the form of a black white black sound hole rosette and edge binding where it joins the sides. Back to the top, we have a rosewood tie bar bridge with a NuBone saddle. Looking inside it is very neat and tidy. The kerfing is notched and the top is braced. The back though, being laminate and arched doesn't need bracing. This will help with cutting the weight of the instrument. Up to the neck, this is made from mahogany in two pieces with a joint at the heel. Incidentally, despite that narrow body, the neck heel is thick and substantial giving extra strength where it joins the body. Topping the neck is a clean even coloured rosewood fingerboard which is finished very nicely. We have 18 nickel silver frets in total with 14 to the body. The edges of the fingerboard are covered to hide the frets, but I think it is painted as opposed to being bound with a different material. The edging is black and neatly applied. Position markers are screen printed on the spaces at 5th, 7th, 10th and 12th and thankfully these are repeated on the sides. On the whole, the neck is really comfortable and the frets nicely dressed. No complaints here. Past the NuBone nut we have a crown shaped headstock complete with the Kala logo in gold screen print. The tuners are sealed geared tuners which work well and thankfully have small plastic buttons. Completing the deal are a set of Aquila strings and one of the nicer padded gig bags I have seen. It has strong zip (in my experience a real bonus in itself) and a really nice embroidered Kala logo. It comes complete with a carry handle and adjustable shoulder straps. And the price for all this? Well anywhere between £140 and £150 online so an attractive price too I am sure you will agree. 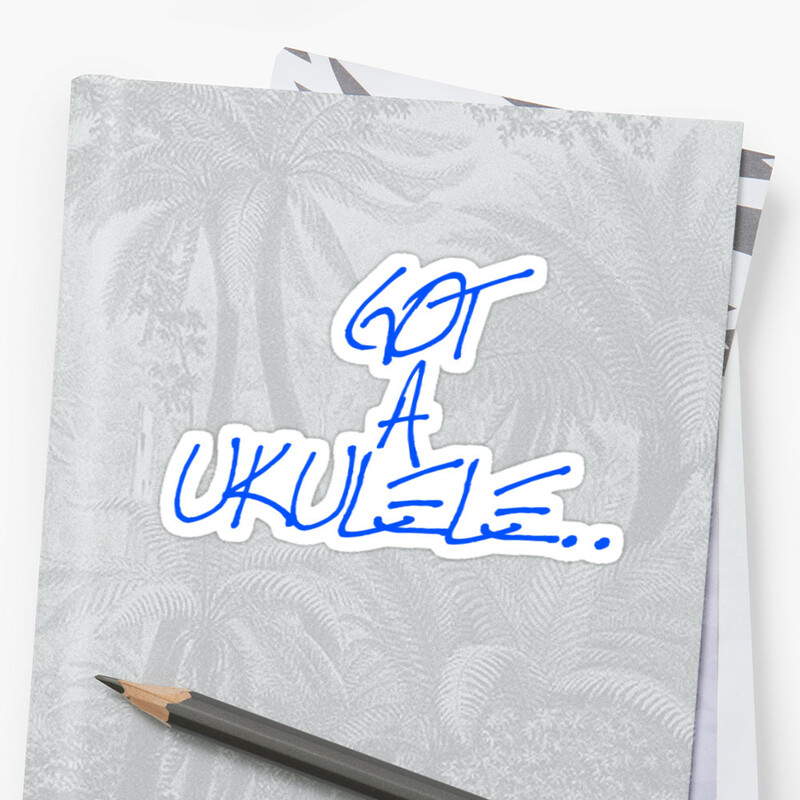 Now.. having played several thin line ukuleles before I have found that the lack of body depth has contributed to them sounding a little thin or quiet. At the end of the day, the body cavity contributes to the overall punch of an instrument and taking that away by reducing the depth tends to have some impact. It will be interesting to see how the Kala stacks up. Thankfully, my view is extremely positive! The instrument is light and very easy to hold, but I think the combination of that light weight, the overly arched back and the naturally bright spruce top, gives this instrument a surprising punch and volume. In fact I think this would stand up perfectly well in a group setting against most other normal profile instruments. It's only when you turn it on it's side that you realise things are a bit different! Th sound is clear, bright, and projection is great. It's not a high end complex sound, but then it's only £140 so I wouldn't expect it to be. But it punches well above its weight in my view. In fact at this price point, people tend to assume that 'oh I spent over £100 so it must be good' whereas there are several culprits out there that are devoid of sustain or projection. This Kala is not one of them. Setup (typical Kala) was spot on and the instrument is accurate all over the neck. It really has surprised me. 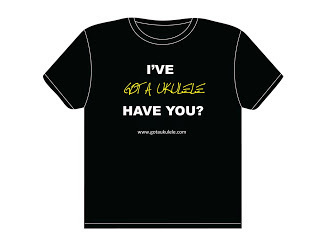 It's an addictive little thing and as great to have knocking around the house as it would be as a performance ukulele. Fit a passive pickup and you are good to go! As you can tell, I rather like this instrument - but really - what is not to like? It is well made, it looks good, it sounds good and it's at good price. I will forgive Kala the 'travel' thing - but for me it's just a good instrument that looks a bit different. As good for travelling as it is for sitting on the sofa and noodling with. 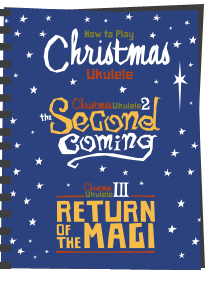 If you are in the market for a new concert ukulele and want something a bit different for your collection, I think you wouldn't go far wrong with one of these myself. Recommended. Very few - do you have to call it a 'travel' though? Although I don't own one (yet), I played a few of them have been pleasantly surprised how good these sound and how they projects, despite the thin body. As for "travel", I have a couple that I am friends with that travel internationally with two of these - packed together in a single tenor padded gig bag. One thing I don't understand about the Kala Travel Series are the gigbags. If they really are for travelling with, why don't they fit shoulder straps to the concert and tenor gigbags? The gigbags for the soprano and sopranissimo do come with shoulder straps, but they're (it seems to me) the two sizes where shoulder straps are least essential, especially the sopranissimo - aka pocket uke! I do travel by air with this uke and find it very handy to fit in the above the seat bins on top of everything else, or if in a window seat, up against the cabin wall. The thin body is perfect in these situations. Mine has been around the U.S. and to Europe, it likes to travel! This combined with nice sound and a wonderful feel in the hands makes it one of my favorite ukuleles. @colbyj - I think that highlights the difference between regulations in the US and those in the UK where I am. In the UK, hand luggage is restricted based on overall dimensions. So if a ukulele is thinner, but still the same overall length, then it will still fail the restriction and may not be allowed on board - thats what I meant by the thickness not making any difference in UK. Just bought a Kala travel soprano. It's also an excellent instrument with the same characteristics as your concert. @jivechris - yeah - over the years I have played all three scales now - liked them all! 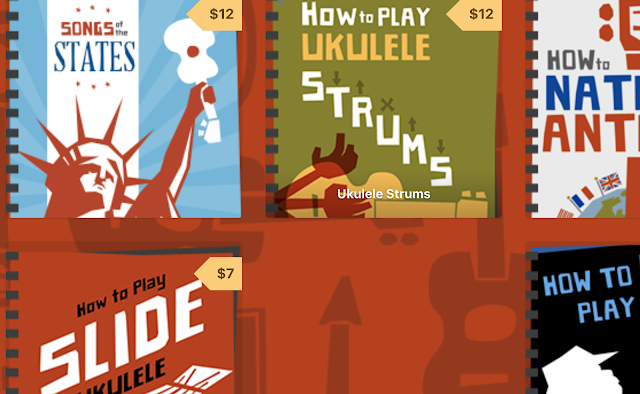 I tried these out a few times when I shopped for ukes - all sizes. My initial impression, other than the punchy sound, was they felt really comfortable to hold. Something about having my arm a bit closer to my body just felt more natural and I can see it working well as a couch-uke - there's a good name. I could see this as my next uke ... when I get around to "justifying" another one. On the fence about concert or tenor. I have wanted a concert or tenor one of these for a while after I played a friends and loved the sound. The travel thing might be a bit silly though for biking trips it would be nice and space is pretty limited. Note that all US airlines permit "small instruments" as carry on regardless of whether they meet the dimension requirements or not. I have a very large Gator case for my tenor which I have no problem carrying on. The gate agent says "Violin?" and I give a non-committal nod. More respect that way. Also, I collect those "cabin baggage cleared" tags they give so I can persuade any doubters. I am very curious as to what you think about the playability impact of the thinner body? It must change the balance at least a little. @mcp - sadly in the UK we don't have such rules on airlines - it is purely down to total baggage size regardless of what is in the baggage. Playability wise - this one amazed me - not only for the size dimensions, but for the price. I honestly think this is one of the better sounding instruments I have played for this money - regardless of the thin body - it beats most ukuleles at the same price. Kala has started selling travel baritone ukes. I've ordered one, but haven't played one yet. I trust it will be equally well received, as I have heard concert and tenor versions that sounded WONDERFUL. Is this ukulele made in China? I just purchased one of these as I just fell in love with the sound and how it felt when I hold it. I am a new player so am just learning. One thing I am concerned about is that gig bag. I would like to travel with my uke but I really don't feel the gig bag is protection enough for it jostling among other luggage and items in the back of our truck. I would really like a case with better protection but given the fact that it has a rather shallow body, I would think regular cases would cause issues with how it sits in regards to the neck. I wonder if the only solution is to use a towel or something similar to bridge the gap as it were. Thoughts? Thanks in advance and I love your site, videos and your book too! I am quite interested in this uke but I see there is also a newer model with a cutaway and spalted maple back and sides (SSTU-SMC-C). Has anyone had a chance to compare the two? The newer one costs about 50% more, so I am not sure if it is worth the extra.